I have a Samsung Galaxy S II and have the newest version of Dolphin (0.9). I knew that it would be slow as hell but I wanted to try. I have both Melee and Sunshine which I have unzipped with 7zipper V2. I went to the game folder to load a game but the application just freezes everytime I try to open a folder with the gamecube isos. I tried to make the isos appear by putting them on the directory dolphin starts browsing on, but it froze then too. I have the right options selected and such, so I figured my S II just isnt compatable, but I have read peoples reviews on Google play who also have an S II and at least get to start the game. I have seen other reviewers who have the same problem as me though, but no solutions. Please help me and the other noobs we all want to play gamecube even if it will run at less than 1 fps. If it's freezing right when it tries to read the .isos, you (or 7zipper) probably didn't decompress them correctly. Or they're just bad dumps in the first place. 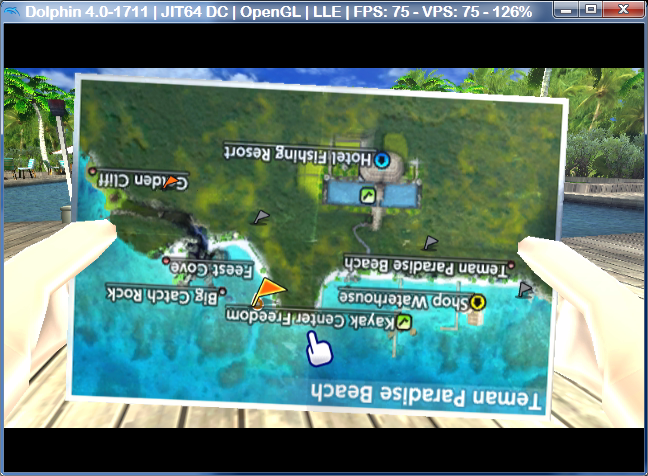 Dolphin for Android is really not that fun anyway, even as a preview/demo. I sorta figured that they might have been bad dumps/ bad extraction bad I had no problems with these processes in the past with my PSX and N64 games. I guess I will have to try extracting from my dad's lap top. I know I would probobly be bored of dolphin even if I got it working but still I think it would be cool to try. Thanks for the help.